Biofilms consist of microscopic cells which are very tiny but collectively have a big impact on human health and the environment due to their enormous numbers and coordinated group behaviour. 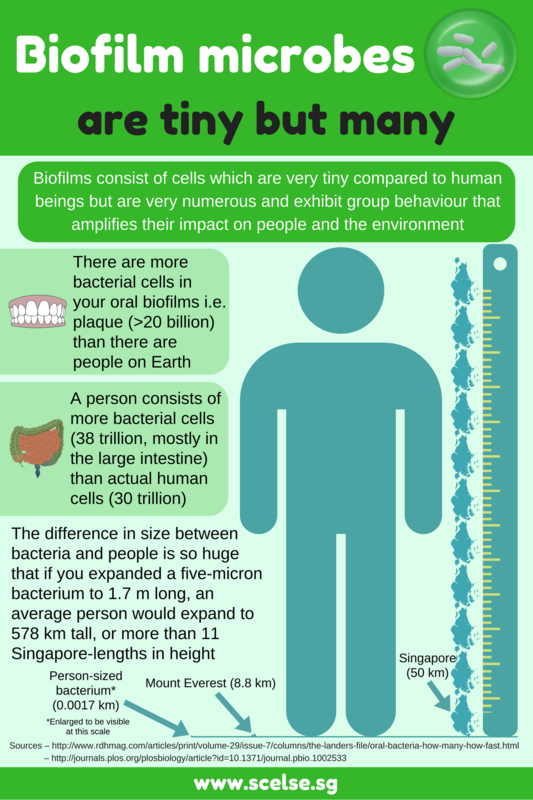 From the perspective of a bacterial cell, an average person is like a country-sized behemoth that towers hundreds of kilometres into the sky. Very interesting and effective way of presentation of facts. Thanks Iqbal, I'm glad you like it.